“I love the idea that there’s a treasure hidden behind a façade,” says the photographer. 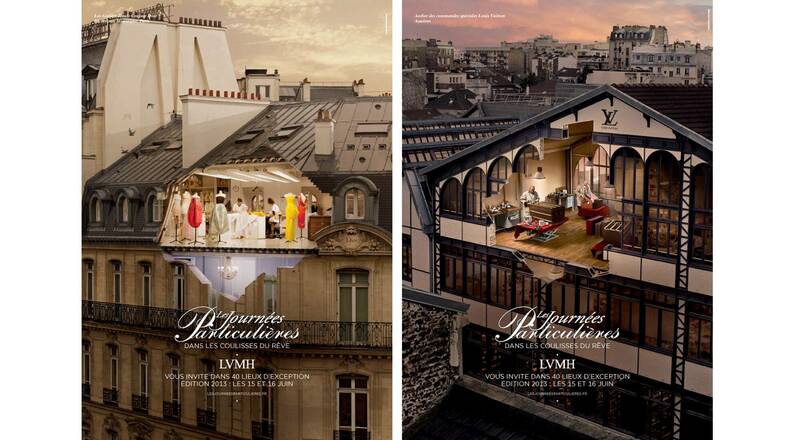 “Here, the treasure is a part of France’s heritage.” The advertising campaign for the 2013 edition of the event features Dior, Hennessy and Louis Vuitton, three flagship ambassadors of this unique heritage and trove of savoir-faire. These Houses represent the 100,000 women and men who each day draw inspiration from the proud roots of our brands to craft the future with exceptional products. Paris. Amidst the quiet dawn breaking over Paris, the corner of Avenue Montaigne and Rue François 1er is abuzz with activity. This now mythic building is where Christian Dior decided to establish the eponymous brand he founded in 1947. Very little has changed since then. The walls of the elegant abode conceal the workshops where the seamstresses bring Dior creations to life. Asnières. The Louis Vuitton workshop stands in the middle of an elegant garden, just behind the Vuitton family home. This is where expert hands craft all Louis Vuitton trunks and special orders. Cognac. In the very heart of the city, behind sturdy gates lies a well-guarded secret. 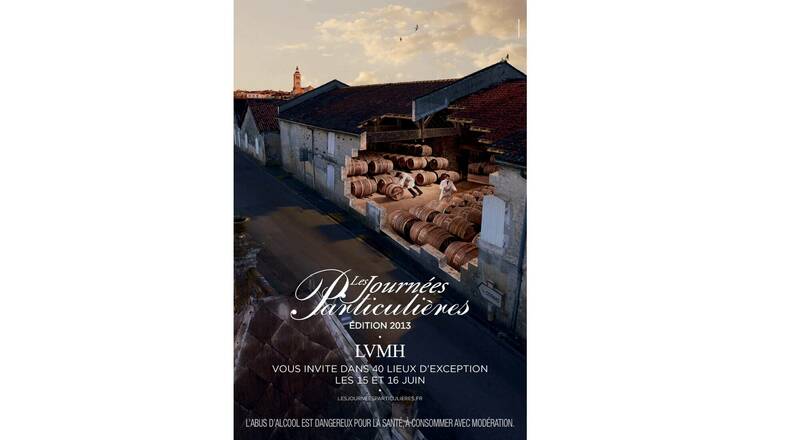 In a very special cellar called “Le Chai du Fondateur”, an invaluable collection is preciously kept. In oak barrels or wicker-wrapped “demijohn” bottles, Hennessy eaux-de-vie are allowed to age peacefully, many of them for centuries…. The ad campaign will be published in French national and regional dailies plus magazines, as well as Swiss publications, beginning April 12. A billboard campaign and an online campaign will be rolled out. The photographer Laurent Chéhère was born in Paris in 1972. An indefatigable traveler, his travels nourish his creative imagination. From Shanghai to Valparaiso, La Paz to Bamako or Lhassa to Bogotá, he shares his vision of the world. His passion is exploring cities, suburbs and countries, just as he explores every facet of photography.